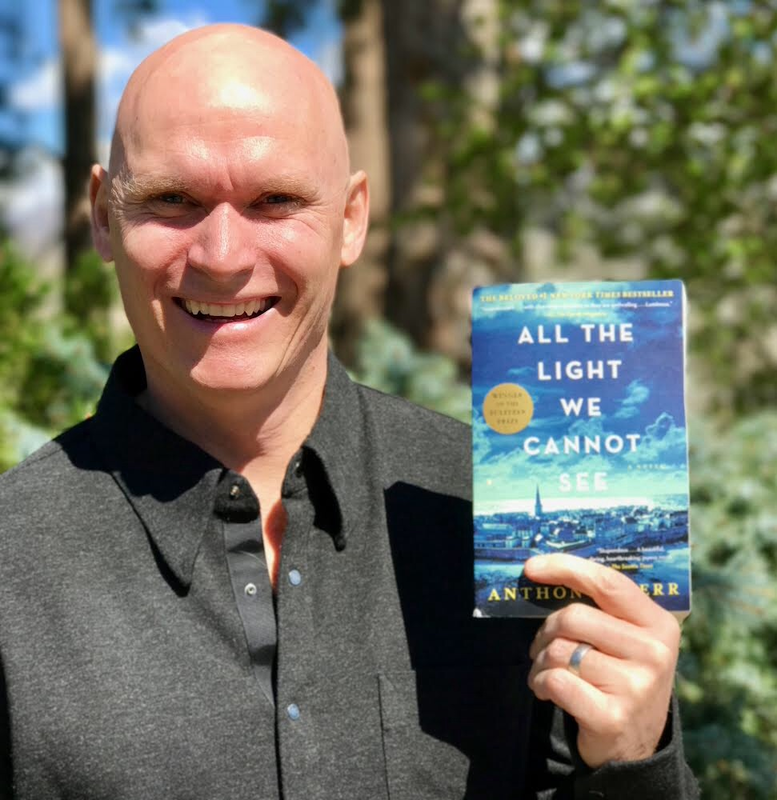 Join literacy-lovers from Northern Colorado to meet Pulitzer Prize winner Anthony Doerr at Loveland's Sweet Heart Winery. The Sweet Heart Winery will be open from 4:30 - 6:00 for this event, and the author will be in attendance from 4:45 - 5:30. Individuals are on their own for additional dining between 6:00 and 7:30, before the Author Talk at Price Auditorium (tickets to the Author Talk are sold separately). Please note that books will not be signed at this event. Easy parking is available off Highway 34, although we do recommend carpooling. The $50 per person ticket includes generous hors d’oeuvres and one glass of wine or iced tea. Additional wine will be available for purchase. Advance ticket purchase is required for this event due to limited size of the venue. For those who prefer, tickets can also be purchased at the Loveland Public Library, in the Friends office, on Tuesdays 9:00 AM to noon, May 1 through September 18. Tickets are not refundable. For information about becoming a sponsor, contact Roseanne Wheeler at 970-278-0321. The Loveland Loves to Read group chooses a One Book, One Community book title each year, now in the 15th year. The author of the chosen title is invited to speak, and Book Discussion groups, open to the public, are held at the Loveland Public Library. 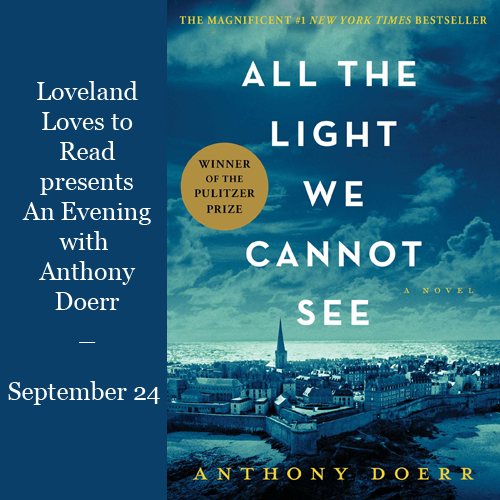 For more information about this event, see https://www.friendsofthelovelandlibrary.org/Loveland-Loves-to-Read.